The approach of the so-called fiscal cliff has unleashed a torrent of inanity in Washington. The cliff is an artificial impediment, a testimony to the ineptitude of the last Congress, an overreaction to our overhyped long-term deficit problem. I don't want to see middle-class taxes raised, but I'm not convinced that there would be severe consequences if we took a Thelma and Louise. We would return to the Clinton-era tax rates, which some economists say would result in a recession. But that's what economists were saying when the Clinton rates took effect in 1993--and the economy boomed. The $500 billion in Pentagon cuts might be a welcome discipline for a department still buying Cold War--era hardware. The $500 billion in domestic-policy cuts would be more harmful, but not fatal. On the other hand, there is real value in using this manufactured crisis to take a close look at health care entitlement reform in the coming year, not only because we will be spending an obscene amount of money providing for us baby boomers in our dotage, but also--and this is more important--because our current health care system is a convoluted, crazymaking mess. By 2014, we will have no fewer than four health care systems: Medicare, Medicaid, Obamacare and private-employer-provided insurance. In the long term, this is probably three too many. There is zero chance that the situation will be rationalized, and united, anytime soon--and it shouldn't be. We should drift into health care rationality over time. 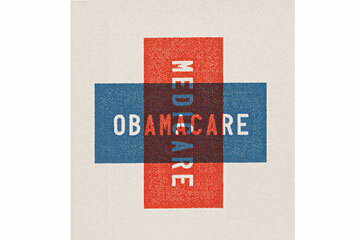 But we can begin to smudge the borders between the systems, especially between Medicare and Obamacare. "People on the right loathe Obamacare," says Oregon Senator Ron Wyden, one of the sharpest health care policy minds in Congress, "but they want to do the exact same thing for Medicare." That's right: Obamacare is a means-tested voucher system for people to buy health insurance in a controlled market, just like what Paul Ryan has proposed for Medicare. Actually, a less draconian version of Ryan's plan for Medicare already exists. It is called Medicare Advantage, and about one-quarter of seniors opt to buy into it rather than receive standard fee-for-service Medicare. They join group plans that offer additional benefits--drugs, low or no co-pays, health-club memberships. Some of these plans pay doctors and nurses by salary rather than by the services they perform, which limits the unnecessary tests and procedures that may represent 30% of the money we're now spending on Medicare. "I've got 57 health care options," says Richard Nathan, a longtime health care policy wonk who now gets his coverage from Medicare Advantage in Florida and has written a paper for the Rockefeller Institute encouraging expansion of the program. "There's a website. The plans are rated with stars, one to five. A lot of people I know are choosing this over fee-for-service." Obama Administration sources say enrollment in Medicare Advantage has increased 30% since Obamacare was enacted and that costs are down 10%--15%, even though Obama's plan eliminated a 12% subsidy to insurers who offer MA plans.